COULON DE VILLIERS DE JUMONVILLE, JOSEPH, ensign in the colonial regular troops; b. 8 Sept. 1718 on the seigneury of Verchères, son of Nicolas-Antoine Coulon* de Villiers and Angélique Jarret de Verchères; d. 28 May 1754 near present Jumonville, Pa.
One of six brothers, all officers in the colonial regulars, Joseph Coulon de Villiers de Jumonville had a relatively undistinguished military career until 28 May 1754 when he was killed by what Horace Walpole described as “a volley fired by a young Virginian in the backwoods of America [that] set the world on fire.” It proved to be the opening shot in the Seven Years’ War. In 1733 Jumonville, a 15-year-old cadet, was at the post of Baie-des-Puants (Green Bay, Wis.) when his father and one of his brothers were killed in an attack on the Foxes. 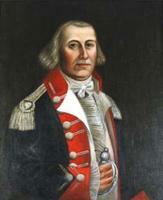 In the ensuing decade, without major conflicts and their attendant casualties, promotion was slow in the colonial regulars; thus it was not until 1743, after serving in Louisiana on Le Moyne de Bienville’s 1739 campaign against the Chickasaws, that he received the expectancy of an ensign’s commission. Two years later, however, with the onset of the War of the Austrian Succession, he was commissioned second ensign. His career now established, on 11 Oct. 1745 he married Marie-Anne-Marguerite Soumande at Montreal. During the following winter he served on the Acadian frontier and then saw action with war parties against the frontier outposts of New York. No sooner had hostilities in Europe ended in 1748 than a conflict began in North America for the Ohio valley. Fur-traders from the English colonies had infiltrated the region and land speculators in Virginia claimed title to it. France disputed these claims, drove out the American traders, and in 1753 began constructing a chain of forts south of Lake Erie to the Ohio River. Tanaghrisson and other Indian leaders of the region protested and the governor of Virginia sent an officer of the colonial militia, George Washington, to order the French to vacate this territory. He received a polite but firm refusal. The French then built Fort Duquesne, where Pittsburgh now stands, thereby gaining military control of the region. In the spring of 1754 Washington was again sent to the Ohio with a force of colonial militia to assert British sovereignty, by force if necessary, despite the fact that England and France were at peace. The commandant at Fort Duquesne, Claude-Pierre Pécaudy* de Contrecœur, had strict orders to avoid hostilities with the Americans but to defend his position against attack. Learning of the approach of a reportedly large American force, on 23 May 1754 he dispatched Jumonville with some 30 men to discover if Washington had in fact invaded French-claimed territory. Were this to be the case he was to send word back to the fort, then deliver a formal summons to Washington calling on him to withdraw. His small force was an embassy, resembling Washington’s to Jacques Legardeur de Saint-Pierre the preceding year, and he neglected to post sentries around his encampment. At daybreak on the 28th Washington with 40 men stole up on the French camp near present Jumonville, Pa. Some were still asleep, others preparing breakfast. Without warning Washington gave the order to fire. The Canadians who escaped the volley scrambled for their weapons but were swiftly overwhelmed. Jumonville, the French later claimed, was struck down while trying to proclaim his official summons. Ten of the Canadians were killed, one wounded, all but one of the rest taken prisoner. Washington and his men then retired, leaving the bodies of their victims for the wolves. 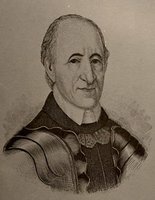 A force of 500 Canadian regulars and militia sent to avenge the attack and drive the Americans out was led by Jumonville’s brother, Louis Coulon de Villiers. ASQ, Polygraphie, VII, 26. Papiers Contrecœur (Grenier). Parkman, Montcalm and Wolfe. Stanley, New France. Marc de Villiers Du Terrage, Les dernières années de la Louisiane française . . . (Paris, 1905). Amédée Gosselin, “Notes sur la famille Coulon de Villiers,” BRH, XII (1906), 207–18, 289–90. W. J. Eccles, “COULON DE VILLIERS DE JUMONVILLE, JOSEPH,” in Dictionary of Canadian Biography, vol. 3, University of Toronto/Université Laval, 2003–, accessed April 24, 2019, http://www.biographi.ca/en/bio/coulon_de_villiers_de_jumonville_joseph_3E.html.